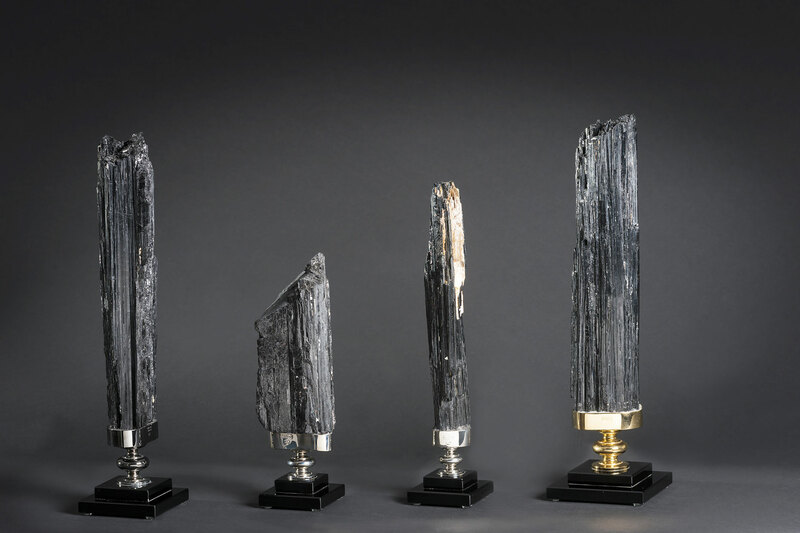 Tourmaline is a crystalline boron silicate mineral compounded with elements such as aluminium, iron, magnesium, sodium, lithium, or potassium. Tourmaline is classified as a semi-precious stone and the gemstone comes in a wide variety of colors. According to the Madras Tamil Lexion the name comes from the Sinhalese word “Thoramalli” (තෝරමල්ලි) or “tōra- molli”, which is applied to a group of gemstones found in Sri Lanka. According to the Madras Tamil Lexicon, the Tamil “tuvara-malli” (துவரைமல்லி) and Toramalli are also derived from the Sinhalese root word. This etymology is also given in other standard dictionaries including the Oxford dictionary. Brightly colored Sri Lankan gem tourmalines were brought to Europe in great quantities by the Dutch East India Company to satisfy a demand for curiosities and gems. 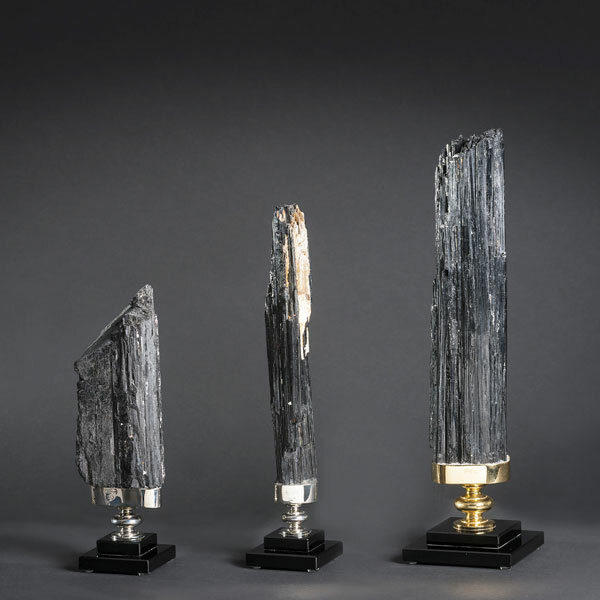 At the time it was not realised that schorl and tourmaline were the same mineral (it was only about 1703 that it was discovered that some colored gems were not zircons). Tourmaline was sometimes called the “Ceylonese (Sri Lankan) Magnet” because it could attract and then repel hot ashes due to its pyroelectric properties. Tourmaline has a variety of colors. Usually, iron-rich tourmalines are black to bluish-black to deep brown, while magnesium-rich varieties are brown to yellow, and lithium-rich tourmalines are almost any color: blue, green, red, yellow, pink, etc. Rarely, it is colorless. Bi-colored and multicolored crystals are common, reflecting variations of fluid chemistry during crystallization. Crystals may be green at one end and pink at the other, or green on the outside and pink inside; this type is called watermelon tourmaline. Some forms of tourmaline are dichroic, in that they change color when viewed from different directions. The pink color of tourmalines from many localities is the result of prolonged natural irradiation. Gem and specimen tourmaline is mined chiefly in Brazil and Africa. Some placer material suitable for gem use comes from Sri Lanka. In addition to Brazil, tourmaline is mined in Tanzania, Nigeria, Kenya, Madagascar, Mozambique, Namibia, Afghanistan, Pakistan, Sri Lanka, and Malawi.